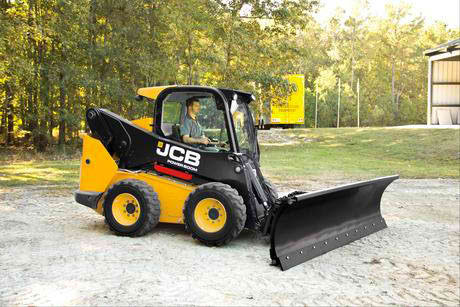 Is the World’s safest skid steer loader. With 270o visibilty, is 60% better than the competition. 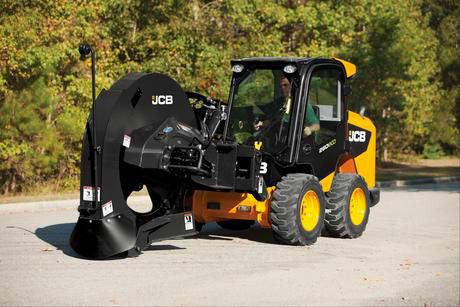 The JCB 330 is the largest skid steer in the range providing a rated operating capacity of 1497 kg. The JCB Teleskid is the only skid steer with a telescopic boom with a rated operating capacity when fully extended of 611kg. 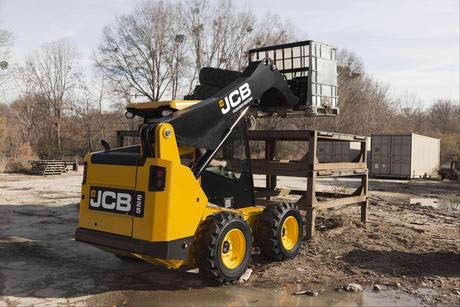 The JCB 300 Vertical Lift Skid Steer has a rated operating capacity of 1361 kg and the larger 55kW JCB EcoMAX engine. 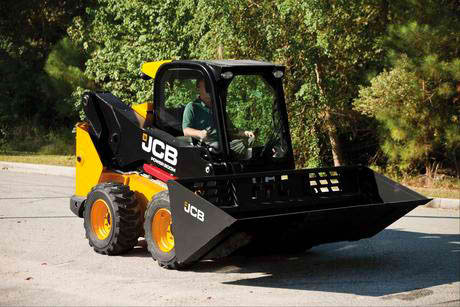 JCB’s 280 large platform skid steer has a rated operating capacity of 1270 kg and a 55 kW JCB EcoMAX engine. 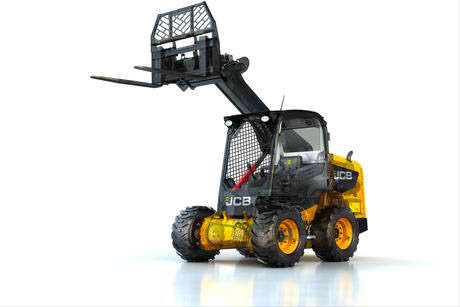 The first verticle lift machine of the large platform range is the JCB 260 with a rated operating capacity of 1179 kg. 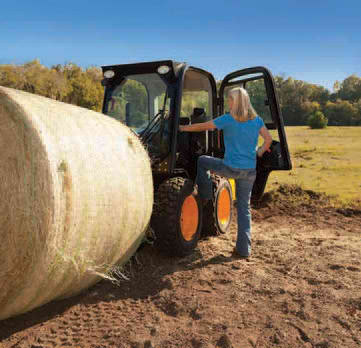 The industry’s safest skid steer. 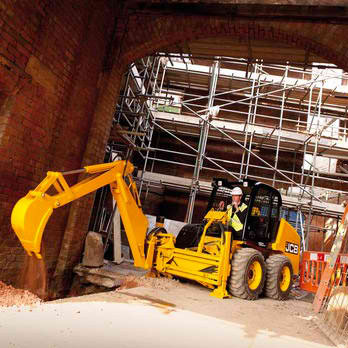 The large platform 225 is the largest of JCB’s radial lift skid steer loaders. It’s also got a 55.2 kW EcoMAX engine with a rated operating capacity of 1021 kg. 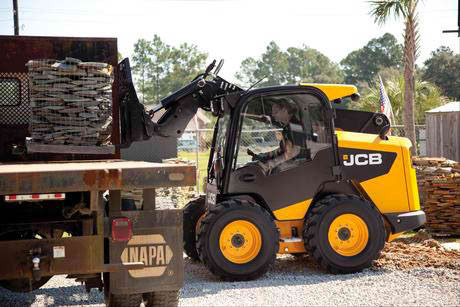 The industry’s safest skid steer. The largest of the JCB small platform skid steer loaders, the new JCB 205 vertical lift loader has a rated operation capacity of 930 kg and produces 44.7 kW of power. 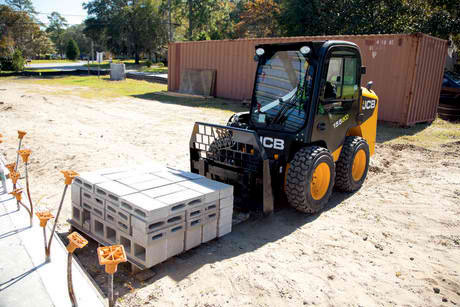 The industry’s safest skid steer loader. JCB’s new 190 skid steer loader has a rated operating capacity of 862 kg and provides all the benefits of the New Generation skid steers. 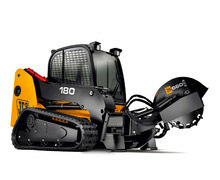 The industry’s safest skid steer. The safe, productive JCB 155 radial lift JCB skid steer loader produces 42 kW of power with a rated operating capacity of 703 kg. 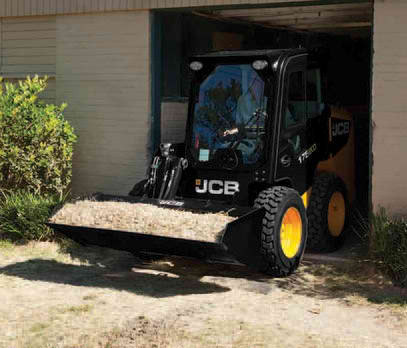 The industry’s safest skid steer.